I was thrilled when Mohawk Home offered to sponsor a review and giveaway for one of their fabulous rugs. To be honest, I wasn't really even in the market for a rug, although apparently I should have been. Look at the before picture above - doesn't it look kind of boring and lifeless? I thought my front room was just fine, but I guess I was just used to how dull the room was. Bottles and sippy cups have not been kind to my carpet. See the spots? So embarrassing. Once I ordered my rug, I was looking forward to covering those up. We got the rug in the mail, vacuumed it, and laid it out and I AM AMAZED at what it did for my room. It completed the whole thing - don't you think? It just ties everything together. I LOVE LOVE LOVE it, and so does my husband. It looks so inviting and home-like. Looking at the before/after I don't know why I didn't think of something like this before. I have since been going through my head thinking of all of the other rooms that a rug would look amazing in, and looking online to find the perfect one for each one. I love the shag feel, but am impressed that this rug doesn't shed like most do. The color hides things well, so I am not as worried about the spills my little one will almost inevitably have. Do you love it? Do you want one? Mohawk Home has agreed to give 1 very lucky reader a RUG OF THEIR CHOICE (up to $150 value)!!! THE PRIZE: The winner may choose any Mohawk rug up to size 5x8 and under $150 from any of these retailers. TO ENTER: 'Like' Mohawk Home on facebook, and leave a comment on their wall telling them I sent you! This giveaway will end at 11:59 PM (Mountain Daylight Time) on October 21, 2011. Fine print: Although I received a free product for reviewing this product, the opinions on this post are 100% mine. The giveaway is for US entries only. CONGRATS TO AUBREY WHO WON THIS GIVEAWAY! I liked Mohawk on FB. I liked UCM on FB. I follow UCM on pinterest. Shared this giveaway on FB. I subscribe to UCM through email. I follow you via Facebook! I liked Mohawk Home on facebook! Follow utah mom on twitter! follow utah mom on facebook! I liked and left them a comment on FB as sarah linette! I follow you on gfc and I like Mohawk on facebook and commented on their wall! I subscribed to Utah County Mom via email. I follow you on GFC. I liked Mohawk's page and told them that you sent me. I 'Like' Mohawk Home on facebook, and left a comment on their wall telling them you sent me! I follow Utah County Mom on facebook! 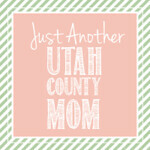 I follow Utah County Mom on twitter! 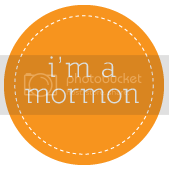 I follow Utah County Mom on pinterest! I subscribe to Utah County Mom via email! I follow Mohawk Home on twitter! I liked Mohawk on facebook. I "Liked" Mohawk Home on FB. I follow Utah County Mom on facebook as Farmgirl. Follow Mohawk on FB and left a comment on their wall. I follow GFC and posted on Mohawks wall that Utah County Mom sent me. I 'Like' Mohawk Home on facebook and I left a comment on their wall (FB name: Maddie Brubaker). I follow Utah County Mom on facebook (FB name: Maddie Brubaker). I follow Utah County Mom on twitter (@shala_darkstone). I follow Mohawk Home on twitter (@shala_darkstone). I liked them on facebook and posted on their wall. I tried to find your google friend connect box - but didn't see it? I follow you on GFC. I liked and commented on Mohawk fb page as Susan Chester. I like Mohawk on Facebook and told them you sent me. I like Mohawk Rugs on Facebook and told them you sent me! I would love to win this! Thanks so much for the fantastic giveaway! I am following you on facebook (Rust Hawk). I am following Mohawk on twitter @rusthawk. I follow on GFC and I Liked Mohawk on FB and left a comment.